As time runs out for Gawl and his friends, Kanae offers a shocking revelation that could prove integral to their mission’s success. However, Kanae’s covert disclosure is nothing compared to the powerful-and dangerous-secret the evil Professor Ryuko Saito has in store for them! 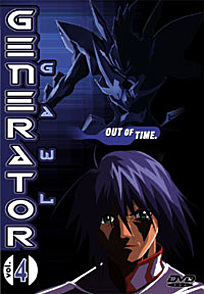 Now, as armies of evil generators from the future converge in the present, Gawl is forced to generate into a powerful, rage-fueled new form to battle a vicious apparition that could destroy himself, his friends, and his world.